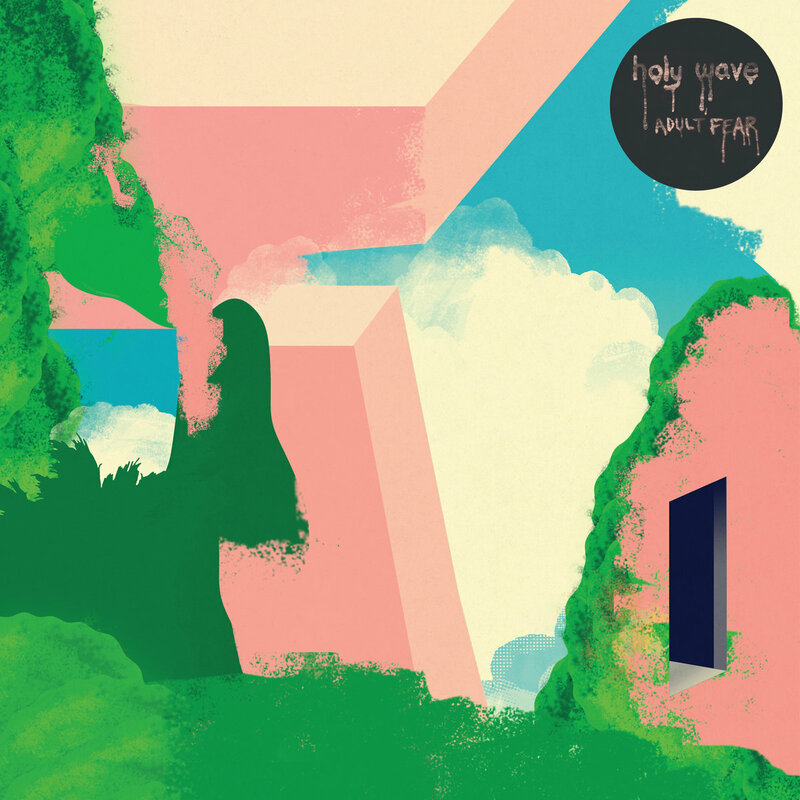 On Adult Fear, the third album by Austin's Holy Wave, the band weaves a dreamy psychedelia with enough traces of mystery and veins of unease to create a soundscape reflecting the record's title. The arrangements are layered and enveloping, sprawling patiently while revealing varied textures and sly hooks through the haze. This band knows what they like, and what they are good at, and Adult Fear is their best album yet. Fans of psychedelia can rejoice. Holy Wave are Kyle Hager, Dustin Zozaya, Julian Ruiz, Joey Cook, and Ryan Fuson. Adult Fear is out now in vinyl, digital and CD formats via Reverberation Appreciation Society. A cassette version is available via Burger Records.